Was Barbados denied DVD Region 1 Status because of Police Corruption? 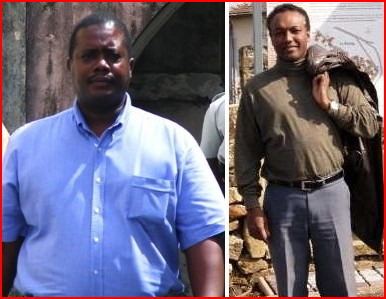 Barbados Police Intellectual Property investigator took $56,500 in bribes while US Embassy wondered why no enforcement! Two years before corrupt Sergeant Paul Vaughan of the Barbados Police Copyright Infringement Unit was arrested and charged with taking bribes to allow a counterfeit DVD “pirate” to operate, a US Embassy cable lamented the fact that he and the Barbados Police were unsuccessful in stopping the blatant copying of intellectual property like movie and music DVDs. The frustration of US Ambassador Mary Kramer is plain throughout the February 3, 2006 cable. It looks like it never occurred to her that the reason why no enforcement was happening was that the DVD pirates were paying off the very police officer in charge of copyright violations! Then in September 2008 the news broke that Sgt. Vaughan had been arrested and charged with with corruptly accepting $56,500 in bribes between December 1, 2004 and April 30, 2007 from Evadney Cindy Bushell in return for protecting her from prosecution for selling pirated DVDs. Please note the very specific amount of bribe money that was said to have been paid over several years. They didn’t pull that figure from a hat, you know. As we predicted at the time, Charles Leacock, our corrupt Director of Public Prosecutions later withdrew all charges against his friend Paul Vaughan and that was the end of that. An insider source even told us ahead of time that the charges would be dropped when things quieted down. (See our MUST-READ STORIES here, here and here). By some strange coincidence, the corrupt Barbados news media seems to have removed all news of Vaughan’s bribery charges from the internet. What a surprise! As to the result of the DVD Piracy charges against the shopkeeper, Evadney Cindy Bushell, well – we can’t find any record of those charges anywhere. Again, what a surprise! Barbados DVD players are “officially” set to Zone 4 (Mexico, Central America, Caribbean, South America, New Zealand, Australia, Papua New Guinea and much of Oceania) but let’s face it, most homes have a Zone 1 player. Was Barbados denied DVD Zone 1 Status because of corruption by Sergeant Paul Vaughan and the Barbados Police Copyright Infringement Unit? Will Peter Wickham now ‘revise’ his previous Press Statement? Sacked CBC Journalist Peter Wickham issued a CADRES Press Statement in response to our September 3, 2001 Exclusive story: BREAKING HERE FIRST: CBC sacks Peter Wickham over secret corruption briefings to US Ambassador. In that CADRES Press Statement, Mr. Wickham issued a Clintonesque slippery denial – saying he never met privately with US Ambassador Mary Kramer. Hey! Nobody ever said Wickham met privately with the US Ambassador, so why was that the subject of his press statement? An anonymous reader thought they knew the reason and contributed Wickham’s Sticky Wicket – CADRES Press Statement wiggles and wobbles. The BFP reader noted some flaws and holes in Mr. Wickham’s explanation and denial. 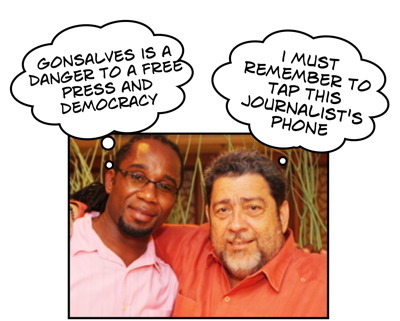 Barbados Free Press crew finds more WikiLeak Secret Briefings! Your BFP team spent the last 24 hours finding more WikiLeaks US Embassy cables naming Peter Wickham as the source in private briefings with US diplomats and US government personnel. We’re still working away and there’s probably more left to find, but for now we present you with excerpts from what we have so far and the WikiLeaks links where we found the documents. We’d like to hear from our readers, but our first impression is that Mr. Wickham has some explaining to do considering his Press Statement. submitted by “Sticky Wicket” as a comment via anonymous proxy. That sounds like either the Embassy is not forthright, or Mr. Wickham. I’ll take Wickham at his word that this is what the Embassy told him but Mr. Wickham would know that this statement by the Embassy is untrue. The Embassy would have an original of the cable. They sent it! The cable has a reference number. The Embassy could instantly compare their original cable and the one released by Wikileaks and printed at BFP. Instantly. Mr. Wickham is no dummy. He knows the Embassy could verify the accuracy of the WikiLeaks cable instantly, so why is Mr. Wickham talking foolishness “there is no certainty that the documents are authentic.” ??? Governments all over the world are commenting on WikiLeaked documents that concern them and not one of the WikiLeaked documents has been said to be false or changed by WikiLeaks or WikiLeaks source. Foolishness for Mr. Wickham to repeat “there is no certainty that the documents are authentic.” as if he or anyone else accepts that as a valid reason for the US Embassy to not comment. Foolishness for Mr. Wickham to imply that there is some doubt that the WikiLeaks cable is an accurate copy of what Ambassador Kramer sent. Nowhere in the WikiLeaked cable does it say that Mr. Wickham met “privately” with Ambassador Kramer. Is this a straw man put up by Mr. Wickham as a proof that Ambassador Kramer’s report is false? Mr. Wickham could have met with the Ambassador in the company of other Embassy personnel, or the information could have come to Ambassador Kramer through other Embassy personnel who Mr. Wickham briefed. Mr. Wickham states that he recalls Ambassador Kramer meeting with ten journalists, but he does not “categorically” state this was the ONLY time he met her. Read his Press Statement again. Mr. Wickham’s Press Statement has lots of wiggle room in it in many places. Read it again. Mr. Wickham would know how many different Emboffs he met with, who, where, when and how frequently “over the past several years”, but he seizes on Ambassador Kramer without explaining the “Emboff” meetings at all. He doesn’t deny meeting with the “Emboffs”. Instead, Wickham ignores this inconvenient information and, like a magician doing a trick, says “Look at this bright shiny Ambassador in my hand”, hoping that the audience will concentrate on Mary Kramer and forget about his years of meetings with “Emboffs”. I presume that each of these “Emboffs” would have written an account of the conversations with Mr. Wickham. That is the standard practice of Embassy personnel from anywhere. Read a Tom Clancy novel or Ambassador Kramer’s own book to confirm that! “When you have been cussed out by Ralph you have really been cussed at,” said Wickham. The word for word quotes and certainty of Ambassador Kramer’s report makes one wonder if there were some hidden tape recorders rolling at these “Emboff” meetings held “over the past several years”, doesn’t it? Mr. Wickham states he “sought legal advice on my options regarding these allegations”. One hopes that if he did not say what is alleged and quoted in Ambassador Kramer’s report, that the truth may come forth. However, if the “Emboffs” took copious notes and had their tape recorders rolling over “several years” of meetings, Mr. Wickham might find the truth to be very inconvenient. The Ambassador’s report was from 2006. How many “Emboff” meetings has Mr. Wickham attended since 2006? What did he say to US Diplomats since 2006 that we don’t know about? Peter Wickham’s CADRES Press Statement wiggles all over the place and for me raises far more questions than it answers. It is a bit of a “sticky wicket” for Mr. Wickham, isn’t it? It has come to my attention that a “wikileaks” Cable which is currently being circulated and quoted in different electronic media has identified me (Peter W. Wickham) as the source of information which formed the basis of several improper allegations that were made regarding two current and one former Caribbean Prime Minister. I consider this a most disturbing turn of events which presents me, along with these gentlemen in a negative light and appears to be based largely on information that I have no knowledge of and never conveyed to the Ambassador Kramer. Specifically, I can state categorically, that I have NEVER met privately with former US Ambassador Mary Kramer, who is alleged to be the author of this cable. I do recall her entertaining about ten journalists, along with myself in 2006 and at this meeting I made reference to an OAS Document that I co-authored entitled “From Grassroots to the Airwaves” which is in the public domain and makes general remarks about Caribbean political party financing concerns that I am well-known to have. I however did not, at that meeting or at any other time, discuss the intimate details of any specific campaign or concerns about any leader with Ambassador Kramer as is being suggested in the commentary on the cable, because I am not privy to such information. It would also be misleading to suggest that I was a campaign advisor to either PMs Skeritt, Gonsalves or Anthony and that I knew of “backroom deals” sources of financing or any quid pro quo which is also being suggested. These are aspects of the campaign that I neither have nor ever had any knowledge of and therefore could not possibly have spoken to. I have therefore sought legal advice on my options regarding these allegations which can impact negatively on my professional reputation. I have already contacted a representative at the US Embassy and discussed my concerns extensively with her and she has advised that they cannot discuss the contents of these documents since there is no certainty that the documents are authentic.